Located in TWTC Exhibition Hall 1 (A1022) , One stop, limitless possibilities in Bointec. 2016/11/18~11/21, join Bointec at Taipei Building, to see our brand new product displaying. 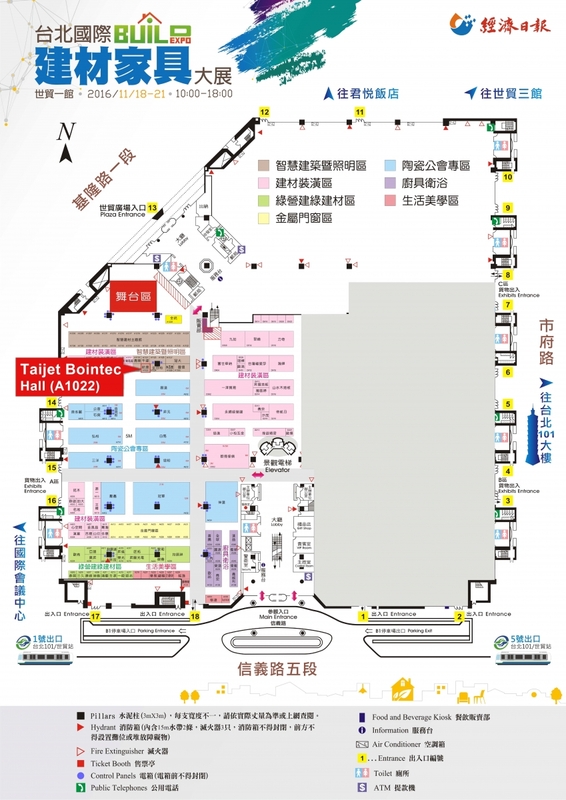 Booth：A1022 Taijet Bointec Co. ,Ltd.